(Reuters) - Chipmaker Advanced Micro Devices Inc on Tuesday reported record quarterly growth in data centre sales and projected revenue growth in fiscal 2019 above Wall Street expectations, sending its shares up 10 percent after the bell. The company said despite near-term graphic headwinds and revenue falling short of analysts' estimates for the fourth and current quarters, it is banking on its newest graphics and data centre chips to bolster growth for the year. Nvidia on Monday cut its fourth-quarter revenue estimate by half a billion dollars (£381 million) because of weak demand for its gaming chips in China and lower-than-expected data centre sales. 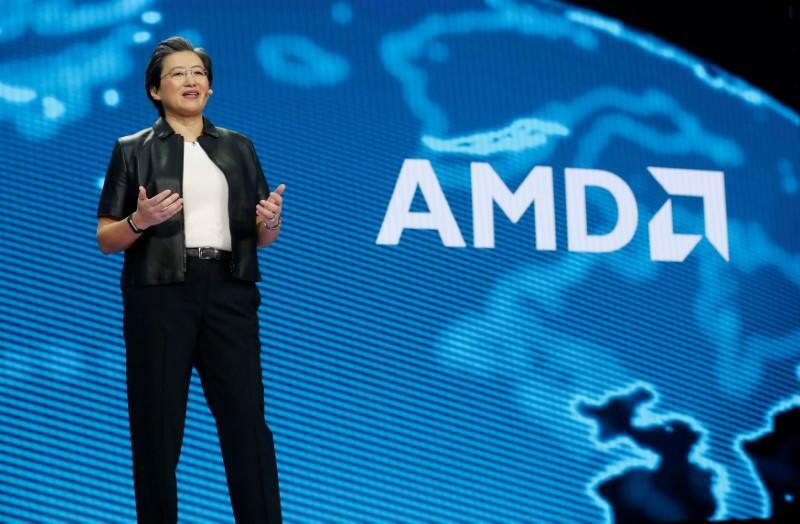 Sales at AMD's computing and graphics segment, which includes graphic chip sales to data centres, rose over 8.5 percent to $986 million, beating the analyst average estimate of $939 million, according to FactSet.